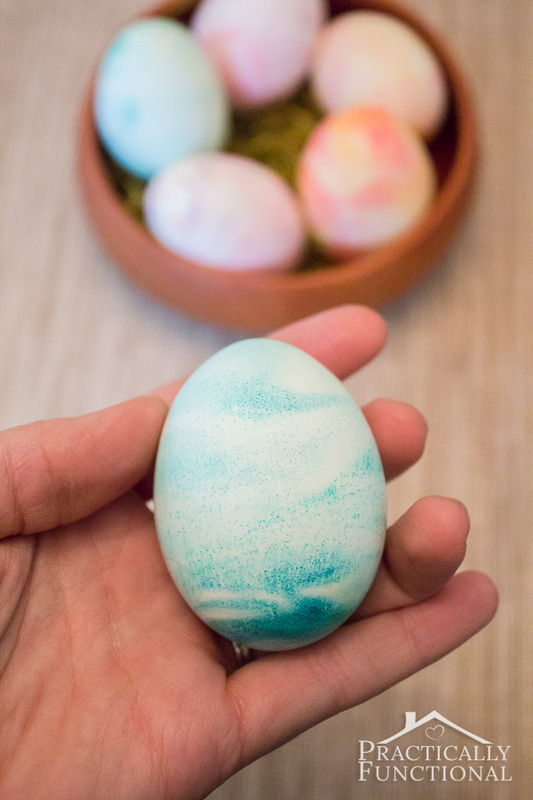 I love dying Easter eggs; it’s so much fun and such a great way to express your creativity! 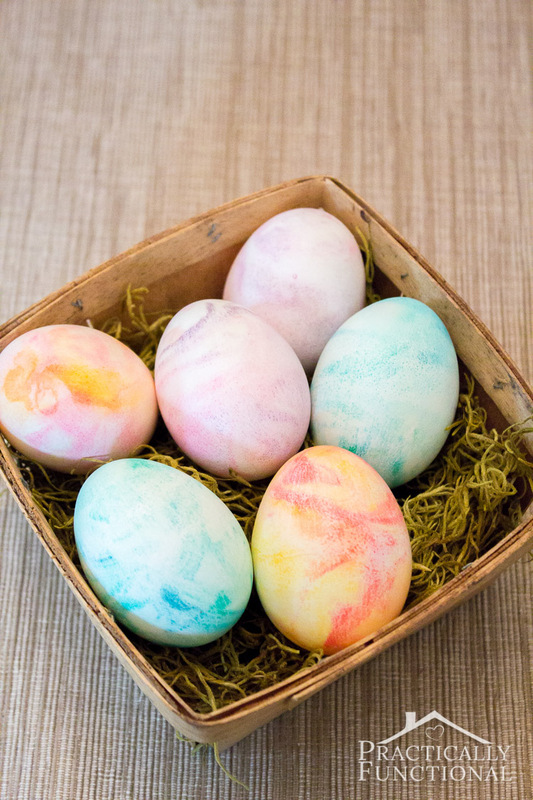 But regular Easter egg dye kits can get a little boring, and the vinegar smell isn’t really my favorite. 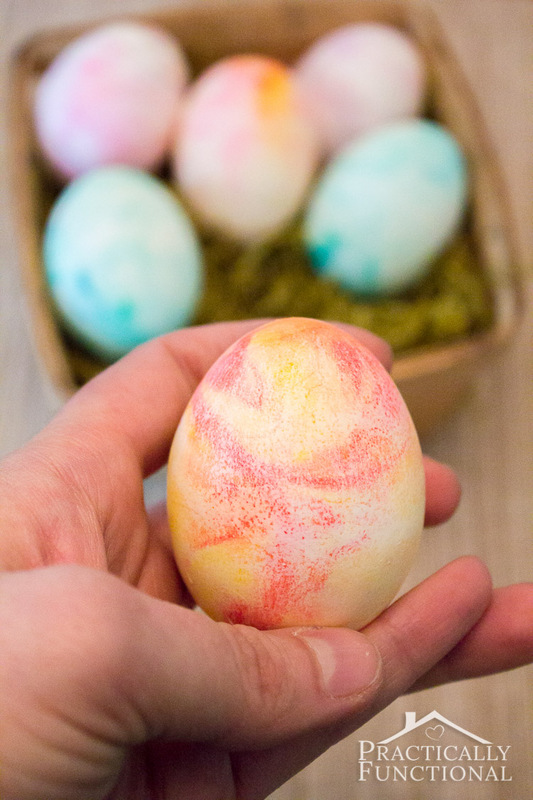 So this year I decided to dye my Easter eggs with shaving cream! It’s so easy to do and gives you such a fun marbled look. Plus, it’s a great craft for kids to do because it’s messy and fun! Note: Make sure you use shaving cream for this project; shave gel won’t work! 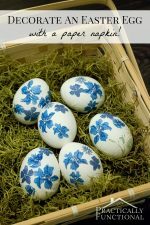 If you’re worried about the shaving cream getting inside cracks in the egg shells, you can use Cool Whip and it will work just as well. 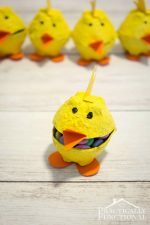 That might be even better if you do this craft with kids, just in case they end up licking their fingers! We noticed as we did this craft that the whole colorful shaving cream part looks a lot like that one scene from Hook with the colorful food fight, so it might be tempting to eat. Bangarang! Also, I wrote a great tutorial on how to hard boil eggs perfectly every time if you need some pointers! Start by spraying about a quarter inch of shaving cream into the bottom of a flat glass or ceramic dish. You can use a metal dish if you want, but the food coloring may collect in any scratches in the surface of the metal, and it’s hard to wash out later. Spread the shaving cream out flat with the bottom of a spoon. Add a few drops of food coloring spaced out across the dish. You can use any colors you want, but I found that mixing 2 or 3 was best; any more than that and the colors meld together and the egg turns out weird and brownish when it’s finished. Gently swirl the food coloring and shaving cream together using a toothpick or bamboo skewer. You can mix it up as much or as little as you want! 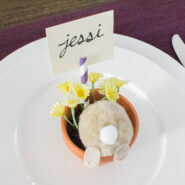 Place a hard boiled egg on one side of the dish and gently roll it to the other side of the dish. If your shaving cream is deep it may be a little hard to roll, but just keep going! 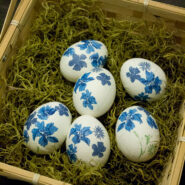 As long as the egg shell is completely covered in shaving cream, that’s good enough! 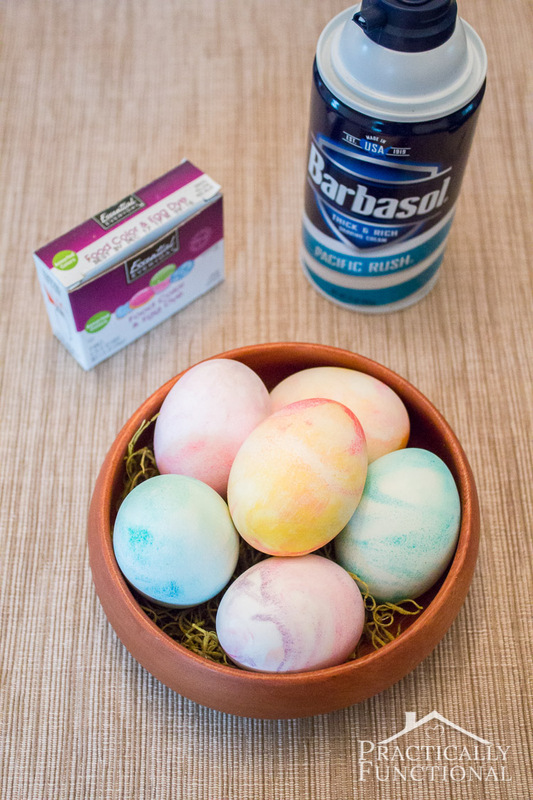 If you have more eggs, you can dye another egg in the same batch of shaving cream. Just make sure that every piece of egg shell touches a piece of shaving cream with food coloring on it. We found we could get about two eggs done per dish of shaving cream. 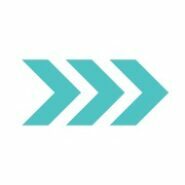 Plus we wanted to switch it up with new color combinations. Luckily, shaving cream and food coloring are both super inexpensive! 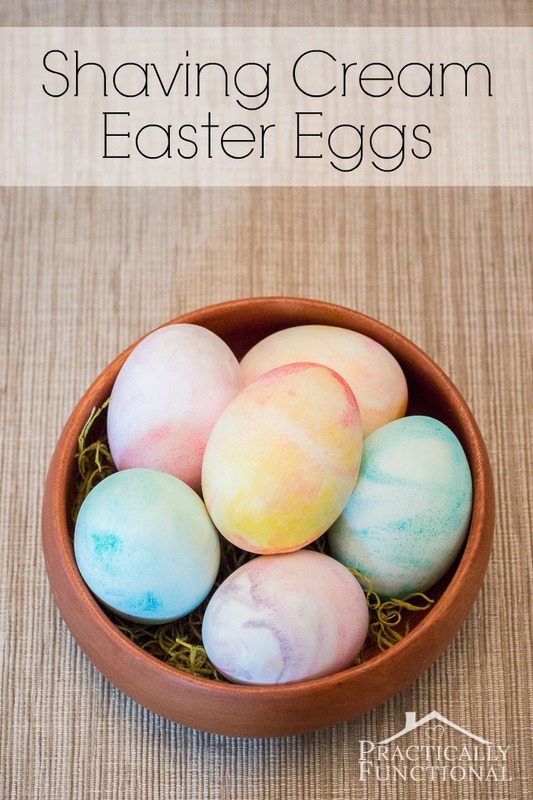 Let your eggs sit with the shaving cream on them for about 5-10 minutes so the color can soak into the egg shells. Then take a paper towel and wipe them off! 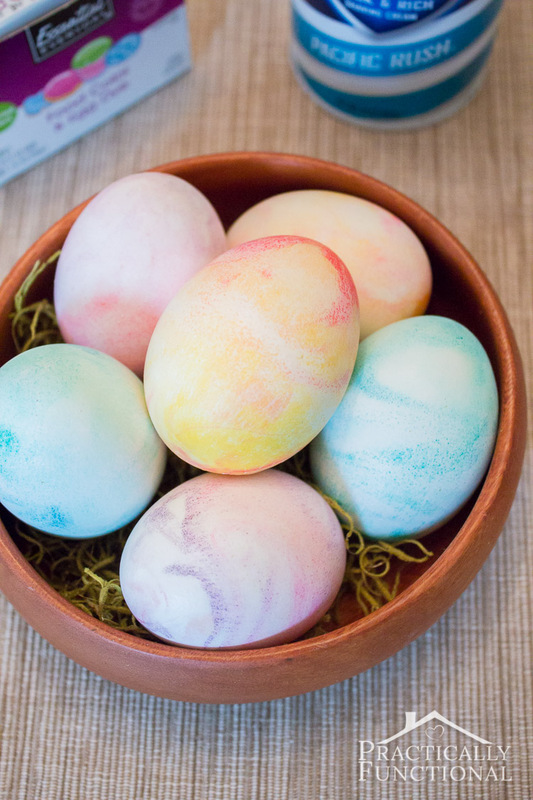 If you want brighter colored eggs, leave the shaving cream on longer; for more pastel eggs, wipe the shaving cream off sooner. Don’t worry, you won’t wipe off the dye! Once the eggs are completely free of shaving cream, you’re done! See how cool and marbled they are?! This one was done with green and blue food coloring. We also did a few with red and yellow food coloring, and a few with purple and red food coloring, and they all turned out great! 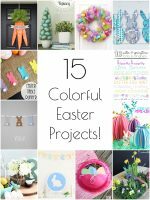 Beautiful, simple, frugal and fun! All the things needed for a great craft. I will be doing this this year! Pinned. 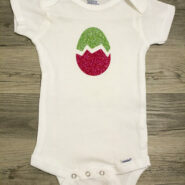 Perfect for grandchildren and grandparents!!! Thank you! This is such an awesome effect! I will definitely be sharing this around social media and with my sister/nieces this weekend. I know that my nieces would LOVE this and it seems to make less of a mess than they would normally make. 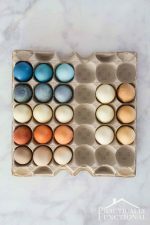 This is such a great idea and the eggs look beautiful! Thanks for sharing!! What a great idea! 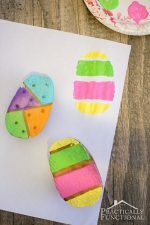 I’ve seen something similar done with paper, I never would have though to do it to eggs! Brilliant! These are really pretty! I found you on The Makers. Pinned! These look so fun! Trying out with my kiddos! OK, this was fun and easy and very cool….but how th’eck do you pick up the egg to move it out of the cream? I felt like I messed up some gorgeous swirls. Still a ton of fun, tho’. Haha! Yeah it’s a little messy… I just did my best to pick it up with only two fingers on either end and it might have messed up a bit of the swirl, but I think they turned out pretty great anyway! 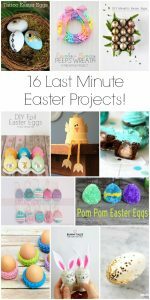 Hi, these are great and my kids loved it !! Thank you for sharing! I was wondering if these eggs are safe to eat ? Yep, they’re fine! Just peel the shell and make sure to rinse them off well before eating.